Another nice, but busy week. I send out 5 media kits for the 5 cover reveals that will take place next week and I am exicted to see all the cover reveals take place next week! It will be a fun and and busy week with all those cover reveals. I also got a lot of marketing assistant work done and only have only a little bit left for next week. I reorganized my recipes page a bit so it’s easier to find a recipe you’re looking for. I now grouped things in general cooking posts, dinner recipes, cake/ pies etc and other. As the list of recipes was getting so long it became difficult to find recipes. Ofcourse you can also use ctrl f, but I still thought it was handy to group it in different categories as well in case you don’t have a specific recipe in mind you’re looking for. 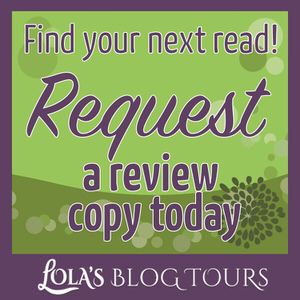 And there’s a new The Daydreamer Detective by SJ Pajonascover reveal open for sign-up! It’s the first cover reveal for a cozy mystery I am organizing and it’s such a great cover, I can’t wait to share it with you! I almost finished two more books for this challenge, so my total is still on 2, but will be upped to 4 today probably. As I am almost done with The City of the Lost by Kelley Armstrong (love it!) and Murder on a Silver Platter by Shawn Reilly Simmons (not really caring about this one even though the catering thing is interesting). 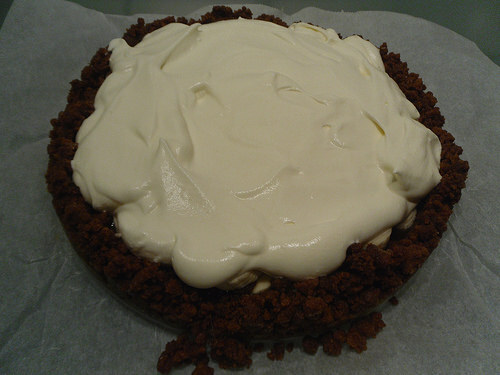 I mentioned last week that I made a Banoffee pie, here’s the picture. One of my challenges for this year is to make more pies, so I am doing really good so far with making two pies in two months ;). It turned out pretty good, although I was impatient and cut it up before it was fully cooled and thus some caramal dripped out. The pie turned out good, just not 100% to my taste? It was pretty sticky and I thought there was too much caramel. I did like the cookies I used for the bottom and the banana’s, but I don’t think I will make this pie again. Overal I still consider it a succes as it did turn out well. And this week I amde apple pie, Kirsten mentioned it last week in a comment on my sunday post and suddenly I was craving apple pie. We still had a lot of apples left, so apple pie was made. I even made pictures so I can share the recipe on my blog in April :). And I was feeling a bit grumpy and down that day and making pie definitely cheered me up. 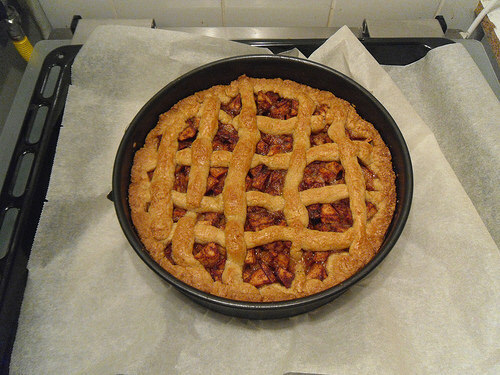 This is the best apple pie I made so far, it turned out fantasic, looked great and tasted delicious too, yum! Apple pie is one of the few pies I can actually make, so I just knew I had to make it for my resolution challenge. What is your favourie pie to bake and to eat? – The Daydreamer Detective by SJ Pajonas – February 25 – New! The wedding of the season. Twelve days to pull it off. A bride who’s been engaged four times but never makes it down the aisle. And the bride’s brother who she’s trying desperately to resist…to no avail. Your apple pie looks gorgeous! And all classic with the cross-cross design. That’s great that it even cheered you up 🙂 I just looked banoffee pie because I didn’t know what it was, and I think I would actually like that. I love bananas in desserts, and I like caramel/toffee/dulce de leche/whatever is used. Plus your crust looks really good! It does sound like you had a busy week and have another busy week ahead of you with all the cover reveals and things, but I imagine it’s a good kind of busy 🙂 Good luck with all of it! It’s the standard here in the Netherlands to make apple pie like that, I’ve never made it differently. Baking the apple pie really cheered me up and it was so good! I did like the banana part of the cake, but the caramel got a bit too sticky and I like it when it stays a bit more fluid I think. The crust was made from Bastogne cookies, do you have those cookies over there too? Yes it’s a good kind of busy! I am looking forward to seeing all the cover reveals play out. It’s always work intensive on the day they take place, but it’s also fun to see the cover pop up everywhere. I hope that you enjoy your new reads, A Disguise to Die For sounds like fun! I also love lemon meringue pie, my sister made one for my birthday last year. I once attempted to make it myself, but failed misserably. I like pecans, so I should give pecan pie a try once, I did make a pecan cream cheese pie once, which was really good. 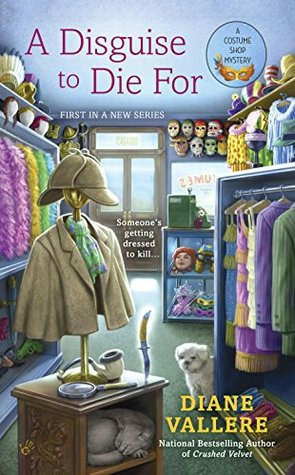 I can’t wait to read A Disguise to Die For, it sounds like so much fun! Ahh reorganization. It’s a wonderful, painful process that makes everything better. I think your new set up for recipes is great ☺ and your pies!! Yum! Although I wish I never looked up Banoffe pie because now I reeeaally want one lol. I’m excited to see what you think about A Scone to Die for. I enjoyed the book, but it was an adjustment getting used to the new genre (cozy mysteries) and I didn’t quite understand the whole “I say this, but I actually feel this” in regards to her ex. Hmm.. I am even more stoked to see your Tofu & Veggies in Peanut Sauce. I enjoy tofu in stir fry, but haven’t been able to make it in anything else.. Have you ever tried the tofu noodles?? 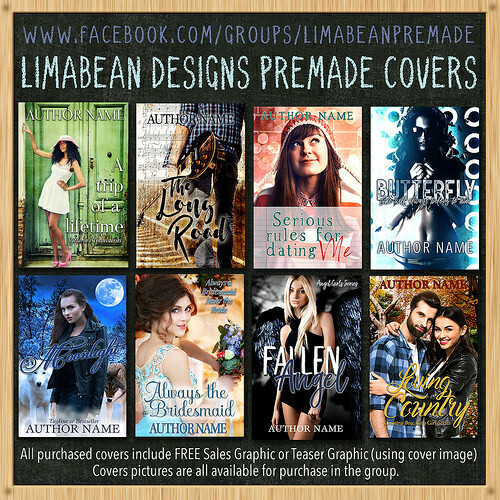 Do you have a post that explains what it takes to sign up for a cover reveal? Blah, sorry for rambling and happy Sunday! Luckily this reorganization didn’t take too long and improved things :). I am sorry I mentioned Banoffee pie, I had the same reaction as you when I first heard of it and am glad I gave it a try. I really enjoyed A Scone to Die for, I already read some other cozy mysteries before this so I am not to new to the genre anymore. I mostly got annoyed at her being jealous, misinterperting things and then saying she didn’t want him. But besides that I really enjoyed it and already read the second book as well, which might’ve been even better. I don’t think I ever heard of todu noodles before, sounds interesting. This tofu and veggies in peanut sauce recipe is about the only way I make tofu. To sign-up for a cover reveal you go to the sign-up post for the cover reveal you want to sign-up for and fill out the sign-up form. 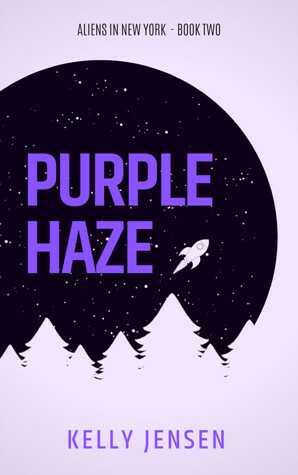 There’s a big button at the buttom of every cover reveal post that says click here to sign-up, just click there and fill out the form. As long as you have a blog or social media account you can sign-up. I hope that explains it! Let me know if you have any questions or trouble with signing-up for a cover reveal. I have A Disguise To Die For on my To Read shelf! (It was part of my last batch of review copies.) Can’t wait to see what you think of it. As for favorite pies… I don’t actually make my own. *laughs* I’m too lazy! But I love to eat apple pies, and strawberry rhubarb pies the best. I like chocolate pies, but a lot of the time they end up too sweet. A Disguise to Die for sounds so good! I hope I can read it soon! I also dislike makign pies, they always take so much time and effort. I don’t think I ever tried a strawberry rhubarb pie, but I love apple pie. Chocolate pies are a bit too hit or miss for me, I’ve had some good ones though. I love baking desserts. Your Banoffee pie looks really good and the apple pie looks great too. I like some pies but I like cake more. I usually prefer cookies to pies, but I am hoping to bake a few more pies this year as I usually avoid those. I really dislike baking pies, but do like to eat them once in awhile. Sounds you will busy next week! Marketing assistant seems like a fun job to have, though! so Good luck with all those cover reveals! 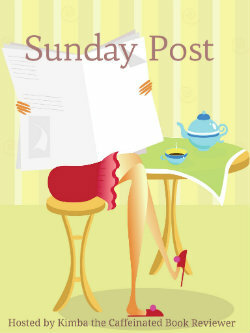 It’s mostly about books, but I incorporate food and recipes in my sunday post and do a weekly recipe post. 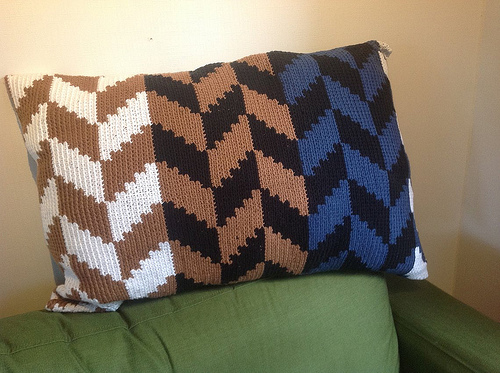 It’s fun beign able to blog about two of my favourite things at once. I think the current way of reorganizing works better if you aren’t sure what you’re looking for. The marketing assistant work is pretty fun, there’s a lot of different tasks I do and the authors I work with are great. 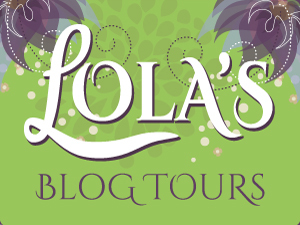 I work for two different authors now, although that’s probably the limit of what I can do next to my normal Lola’s Blog Tours work. I’ll probably grabbing A Disguise To Die For. 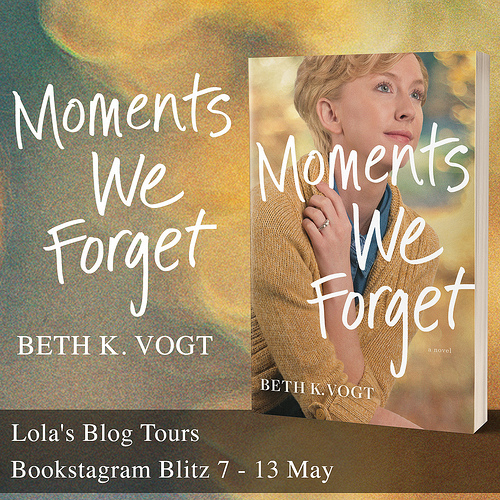 Read some fun reviews this week and it’s on my list now. I can almost smell that apple pie. Yummy! 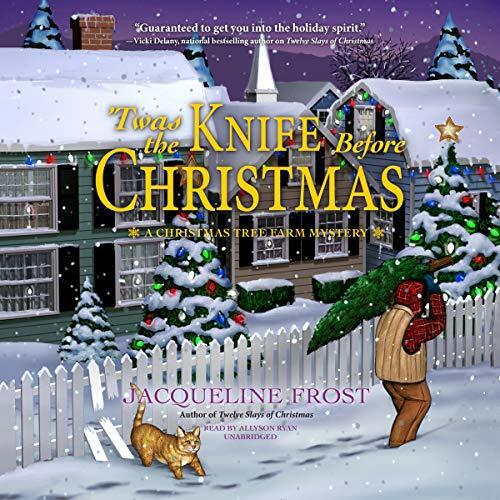 I love the sound of A Disguise to Die for and it was one of the cozy mysteries that got released this year that I am really looking forward to. I hope I can read it soon! The apple pie was really good. I am looking forward to read A Disguise to Die for! I was so happy with how the apple pie turned out, it was perfect! I like the sound of A Disguise to Die for and hope I can read it soon! That Banoffee pie looks good. I’ve never actually had one – not sure they’re big in Australia…. I’m enjoying seeing everyone’s cozy reads. I’m not participating in Stormi’s challenge, but enjoying it vicariously nonetheless! I hadn’t heard of them before until I saw it on pinterest, so I don’t think they are big here in the Netherlands either. 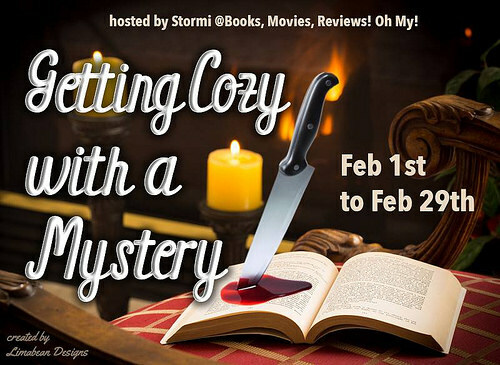 I am really enjoying Stormi her challenge, especially now that I am reading more cozy mysteries and I got some great recommendations from her. I’m glad your week went well, Lola. Mine was so busy I didn’t have time to get my Sunday Post finished. Oh well, it’ll work for next week as well. 🙂 That’s nice of you to reorganize your recipes page – I didn’t have any trouble finding what I was looking for but it’ll be even easier now. 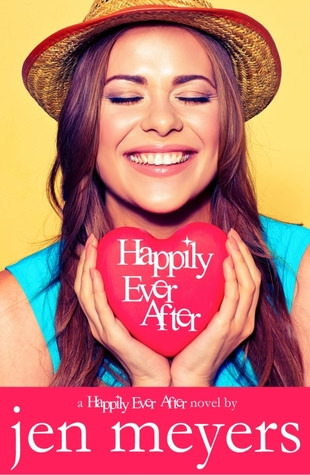 😀 I look forward to seeing what you think of Happily Ever After. Have a great week! I stopped by your blog to visit your sunday post, but noticed you hadn’t written/ posted it. I am glad to hear you didn’t have trouble finding anything on the recipes page, but I thought it was nice to reorganize it in such a way that it’s grouped on categories, handy for those who don’t know what they’re looking for. I am currently reading Happily Ever After and it’s really good so far :). That apple pie looks absolutely cookbook-worthy. It’s so perfect! I’ve always wanted to try my hand at one myself, but I’m still in the “burns a pot of water” stage of my cooking journey. Can’t wait to read your thoughts on “How Expectations can Influence your enjoyment of a book.” I’ve wanted to talk about something similar for a while now, but I haven’t quite finished my train of thought. I was surprised at how well the apple pie turned out, it looked perfect and tasted perfect. My best apple pie so far ;). Keep trying, cooking becomes easier to more you do it. that first stage is difficult though. I still burn my rice to the bottom of the pan half of the time I made it though, so some things stay difficult. And pies, bread and pancakes are things I still can’t bake well, but I keep tryign hoping it will improve in time. I hope you’ll enjoy my post about expectations, it’s such a fasicnating topic and I already addressed part of the topic a few times in other posts, so I decided it was time to write a full lenght post on the topic. oh man I LOVE apple pie but pie is the one main desert I need to learn to bake. Looks so good. Can I just remind you at what a beautiful blog you have? I’m in love with your little Lola My Little Pony! It’s adorable! Lovely shade if green too. Now, on to more serious matters. Recipes. You’re an angel!! I’m looking to do another personalised cookbook so *if you don’t mind* I’ll have a ganders and steal some for my book 🙂 don’t worry they’re only one-off copies, they’re for the buyers kitchen not publication lol. I love recipes!!! Thanks! I am glad to hear you like my recipes, I lvoe food and cooking and mkaing those recipe posts. 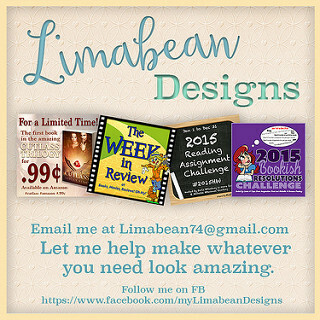 And sure feel free to steal some of my recipes, although I would appreciate if you would give credit back to me. That’s interesting you’re making your own personalised cookbook! Amy recently posted…What’s Your Reaction to Massive Blog Stats? Those pies look so delicious. I already finished one of my new books I got this week and it was really good! I love caramel, so your caramel pie might work for me, Lola 😉 I love making, and eating, apple pie, too. Plus in the summer, when we have cherries, we usually make cherry pie. I’m glad your weeks are quite busy, without being overwhelming, you get the perfect balance that way. Have a great rest of the week and happy reading. I also like caramel, but for some reason this pie just wans’t fully it for me. Apple pie is really good and easy to make. I am not a big fan of cherries, so I haven’t tried cherry pie. And I agree busy without it being overwhelming is the perfect balance. I am a bit picky when it comes to fruit, but I really like apple pie. I am excited for the cover reveal for Daydreamer Detective! I already have a post scheduled on my own blog for that day. And I can’t wait to read it! OK so I will be on the next plane over because all your baking is driving me crazy with hunger!!!! Looks so good! Heather @ Random Redheaded Ramblings recently posted…My Red Rising Re-Read! I love to bake, it’s fun and yummy ;). I made lemon bars and apple puff pastries this week.